Our team at LatestFreeStuff.co.uk spends all day looking for new freebies. We update our website with the best freebies, samples and free stuff offers everyday. Freebies and samples are given away by UK companies as a promotion or part of an advertising campaign. They are trying to attract customers to purchase their products in the future. 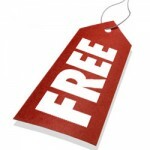 We find these freebie offers and list them on our website. All you have to do is fill in your name and address on the freebie order form and click ‘submit’. It’s really that easy! Companies that give away freebies include Nivea, Dove, Oral-B, Colgate, L’Oreal, Garnier and more..
Freebies are given away by major UK companies including Nivea, Dove, Simple, Oral-B, Colgate, L’Oreal, Garnier, Head and shoulders, Pampers, Gillette, Fairy, Olay, Pantene, Garnier, Boots, Tesco and more. You can get everything from free baby nappies to free tea bags. Most freebies take around 28 days to arrive. Unlike other freebie giveaway sites we only list genuine freebies that have been independently verified and are helpful to the whole community. We NEVER post SPAM offers that are designed to steal your details or pass them onto third parties. We hate those websites! Check out our ‘freebies hints and tips’ page to learn ways to help your freebie hunting and to make the most of your time and resources, so you get the freebies you want. If you want to be kept regularly informed then bookmark us, add us to your favourites and follow us on Facebook and Twitter. Join our freebie newsletter and we’ll send you the latest new freebie updates direct to your inbox. Get involved with our freebie community. We will keep all the pages regularly updated with the latest goodies. – Our Facebook page is an interactive community filled with the latest freebie updates. We have over 100,000 fans already. Every new freebie gets posted onto our Facebook page. You get daily freebie updates everyday when you join our Facebook ‘freebie hunters’ today. – Follow us on Twitter if you want updates on new freebies and samples everyday. We have over 10,000 followers. Every new freebie is posted straight to our Twitter account. Retweet and favourite our tweets to win prizes. 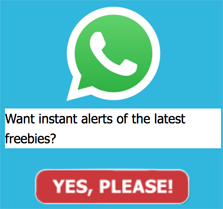 – Sign up to our free Email newsletter to get updates every day on the best freebies and offers. We’ll send you a daily roundup every morning. So you’ll never miss a freebie again! – We share all the freebies we receive on our Instagram. Follow us to see all the latest freebies we get to our door. We already have over 500 follows. Make sure you join us today! – Video reviews and testimonials are posted on YouTube from members of our freebie community. Lots of members have sent us videos after they have received freebies. Send us a message if you want your video featured on our YouTube channel. 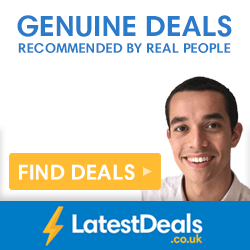 – Join our Google+ account for regular updates on freebies and free samples across the UK. 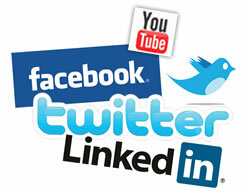 We will add lots of existing freebies to our Google+ page. – Subscribe to our RSS feed to get superfast updates. Join our Feedburner RSS feed using any reader to get freebie updates straight away before anyone else. – If you are a media organisation or journalist head over to our Press Information page. If you need further information send us a message through our contact us form. – LatestFreeStuff donates to Tower Hamlets foodbanks to ensure that struggling members of the community are able to feed their families. You can donate too by finding your nearest foodbank here. Start ordering your freebies today! Start ordering your freebies today.. So what you waiting for? Start ordering free samples, freebies, and special goodies today. Remember to bookmark our website (CTRL+D) so you can order freebies tomorrow and the next day..